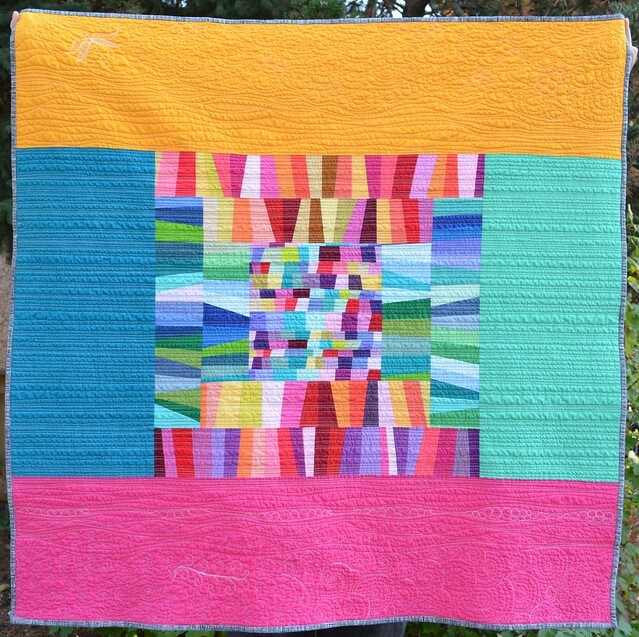 I named this quilt Peace, as that was what I was thinking about while I made her. Peace in more of a personal peace and quiet, calm and restful sort of way. 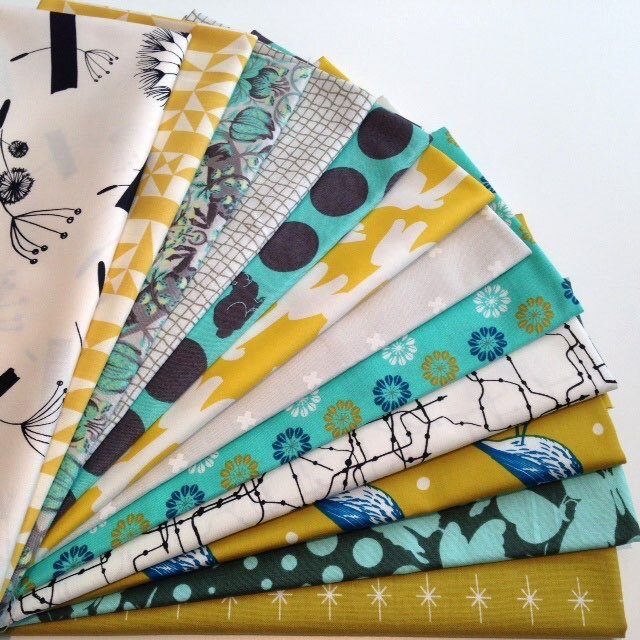 She was made from Kona cottons and Essex linen borders and binding. After a wash and dry she is about 44" square. 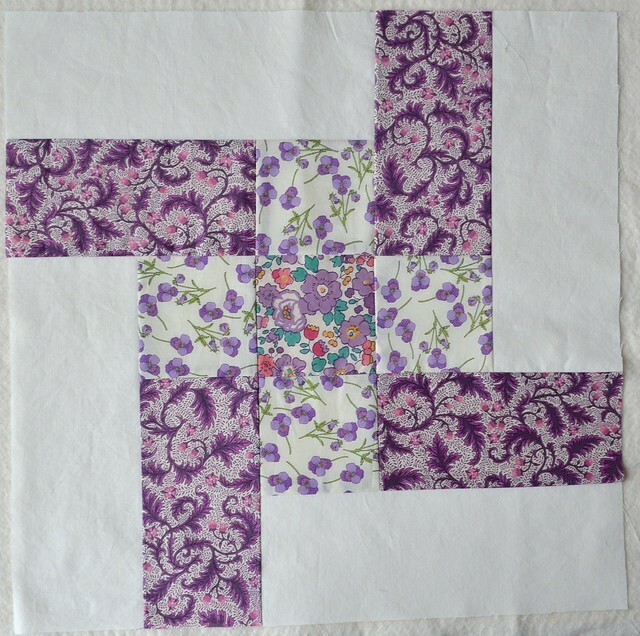 I am entering Peace into the Original Design category of Amy's Blogger's Quilt Festival. 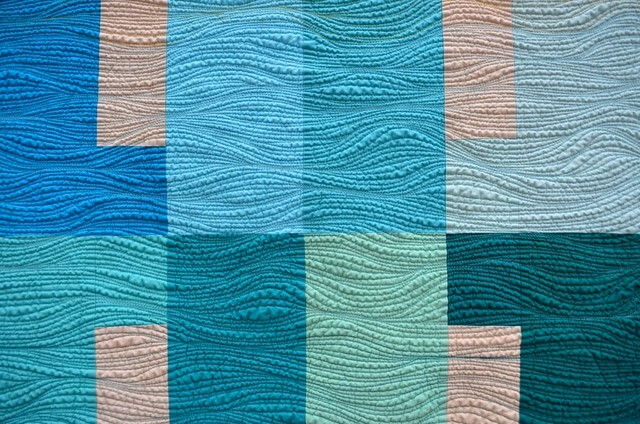 This pattern is called Consider and it is my newest quilting pattern. I am hoping it will be ready for sale in a couple of weeks or so. 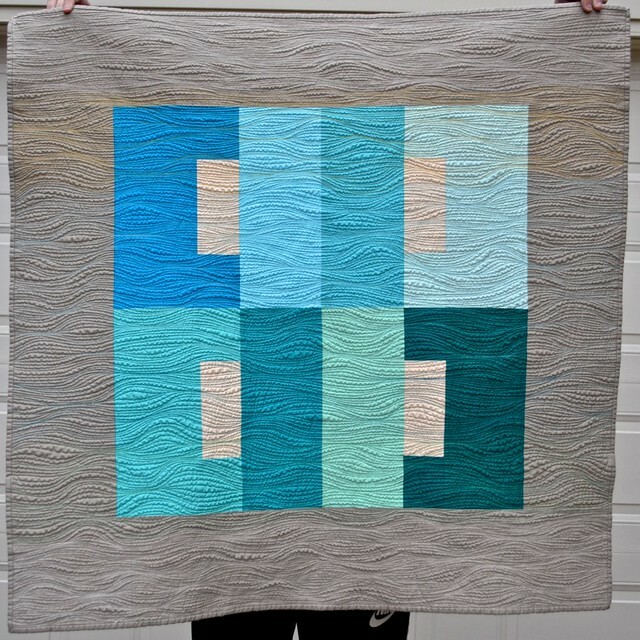 It is inspired by the work of Josef Albers like my pattern Canvas was. 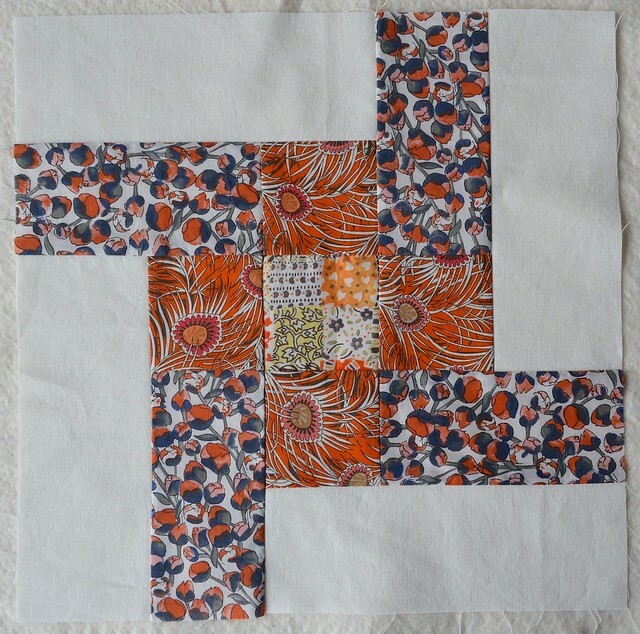 I wanted to play with a new to me kind of matchstick quilting. So instead of the mostly straight lines I often use, I made the lines noticeably wavy, sort of like wind, water or woodgrain. 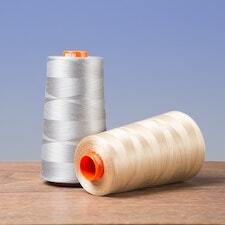 I used 100% cotton thread in both the needle and bobbin. 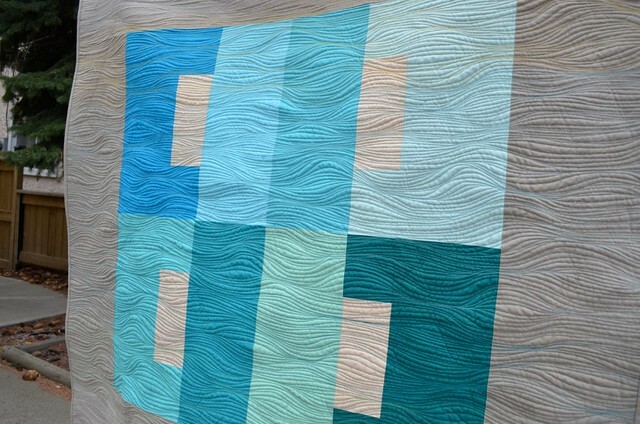 I hand guided, free motion quilted these lines on my Millenium longarm quilting machine. From time to time I changed to another thread colour. 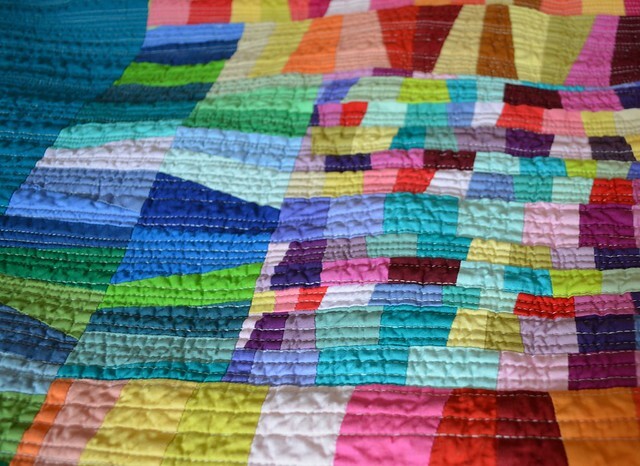 The texture on this quilt is fantastic after a wash and a dry. 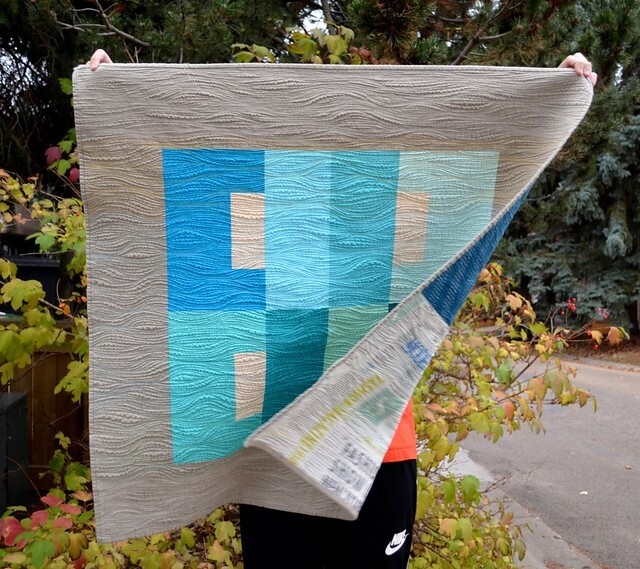 The quilt is full of movement, like a calm, warm summer breeze or gentle waves at the beach. 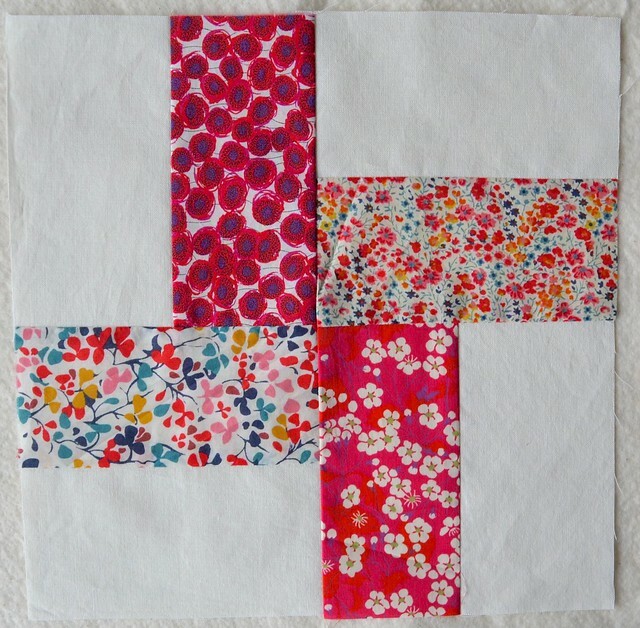 This quilting could be easily done on a regular machine as well as the long arm and on my regular machine I would probably use a walking foot. 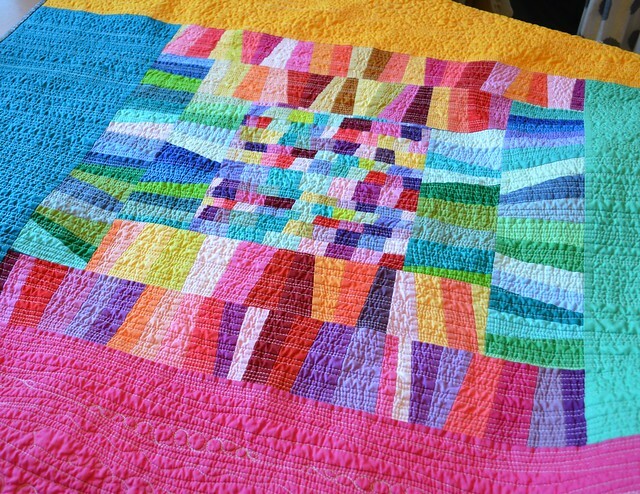 As shown in the picture above, I would draw a line about an inch or so out from the last quilted bit and then fill it in. 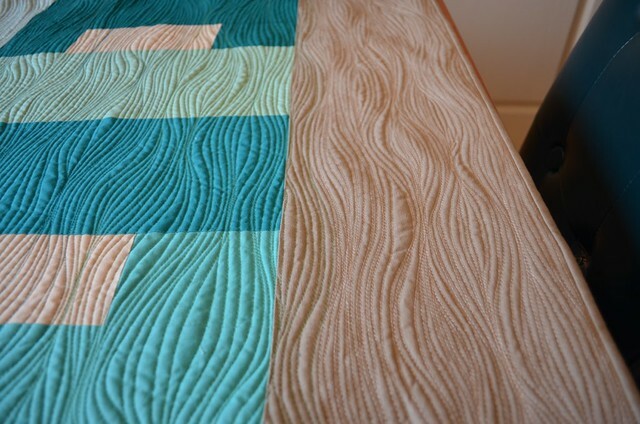 It's a little easier to see the quilting method in these next few before the wash photos. 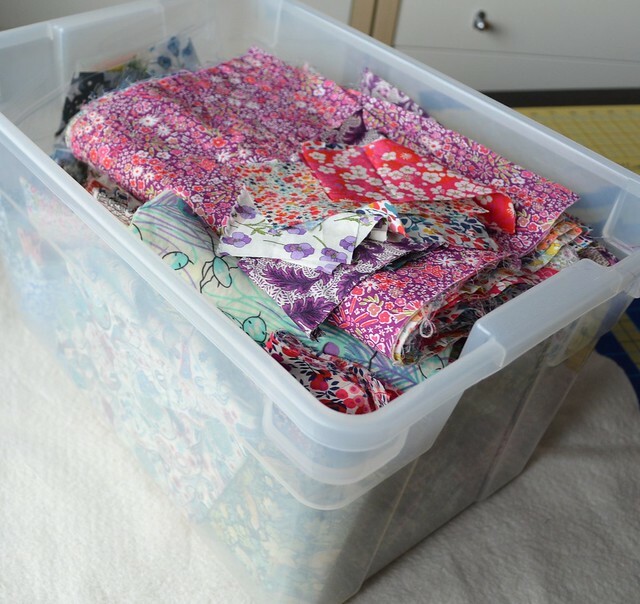 While I filled in that inch or so of unquilted area, I would follow the top and bottom lines of the space, without worrying if the lines were even or terribly neat or if they crossed in the tight areas. Sometimes I would loop back and forth in a wide gap making a shape much like an onion. 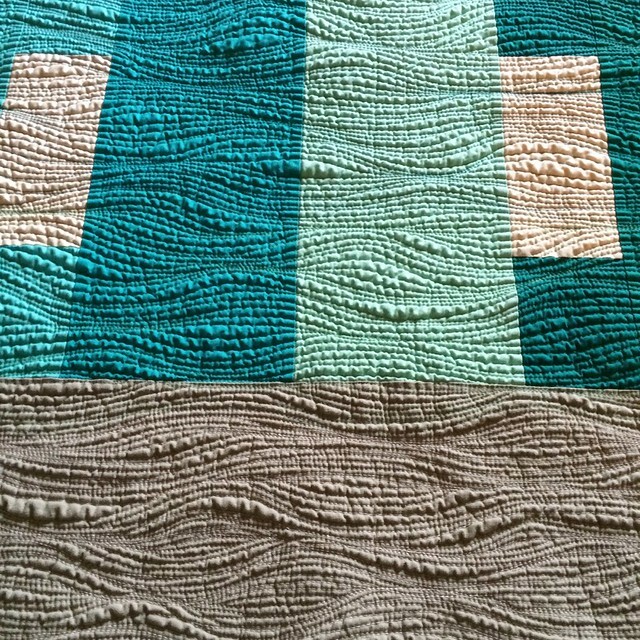 If I felt there was too wide a gap between two areas, I just quilted another line into that area. You can see that there were areas where the thread built up and then some wider spaces which create so much of the texture. 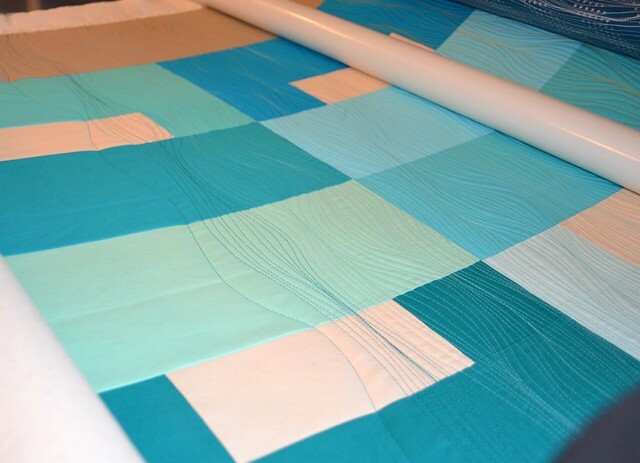 As no part of any quilting line has to be any exact place, it means that most any wobble just fits right in. 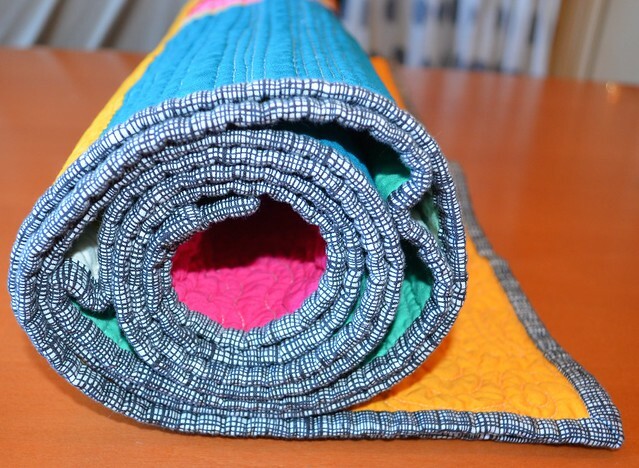 The more that is quilted the more any wiggles or wobbles disappear. Truly, this is very easy to achieve and looks so much more difficult than it is. But patience is important, there are a lot of lines. That photo above is also before the wash. 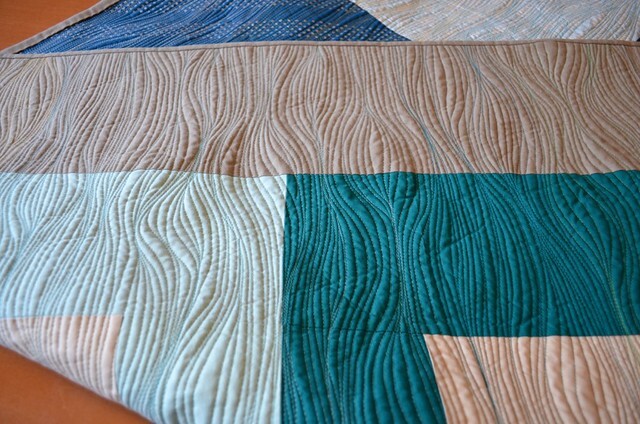 Although you can see the quilting lines a bit more than after the wash and dry, for me the design process is not completed until that final texture the wash gives is added - you can compare this picture to the ones at the top of the post. Here is the back. 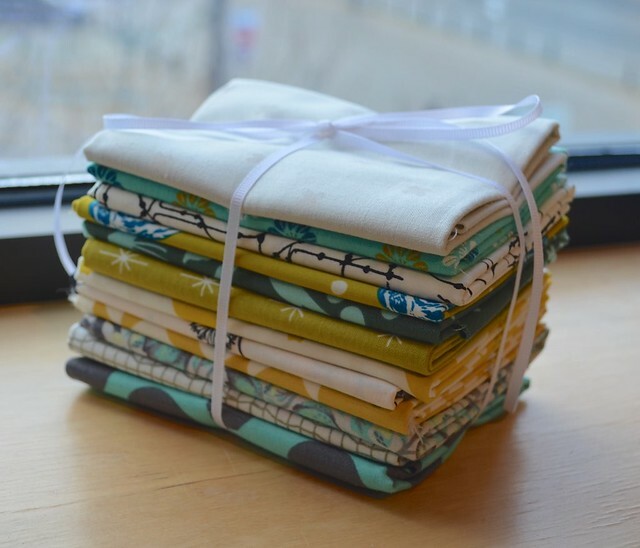 I am growing very fond of backs with large pieces of some favourite fabrics. 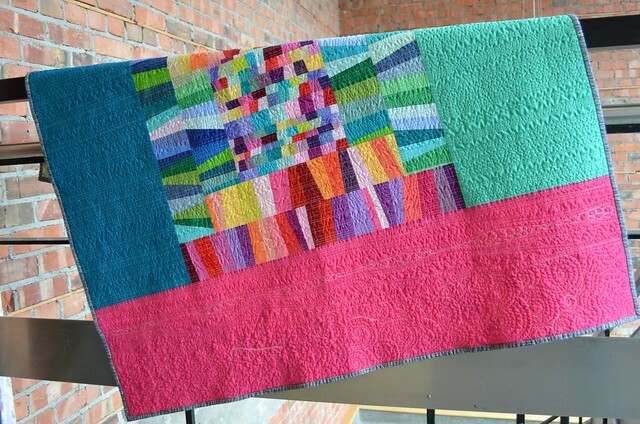 One last picture with the wind catching the quilt. 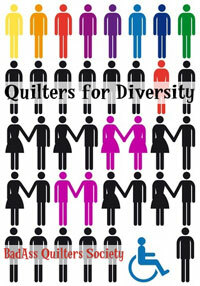 I am off to enjoy all the fantastic quilts in the Blogger's Quilt Festival and I hope you will be too. ps. 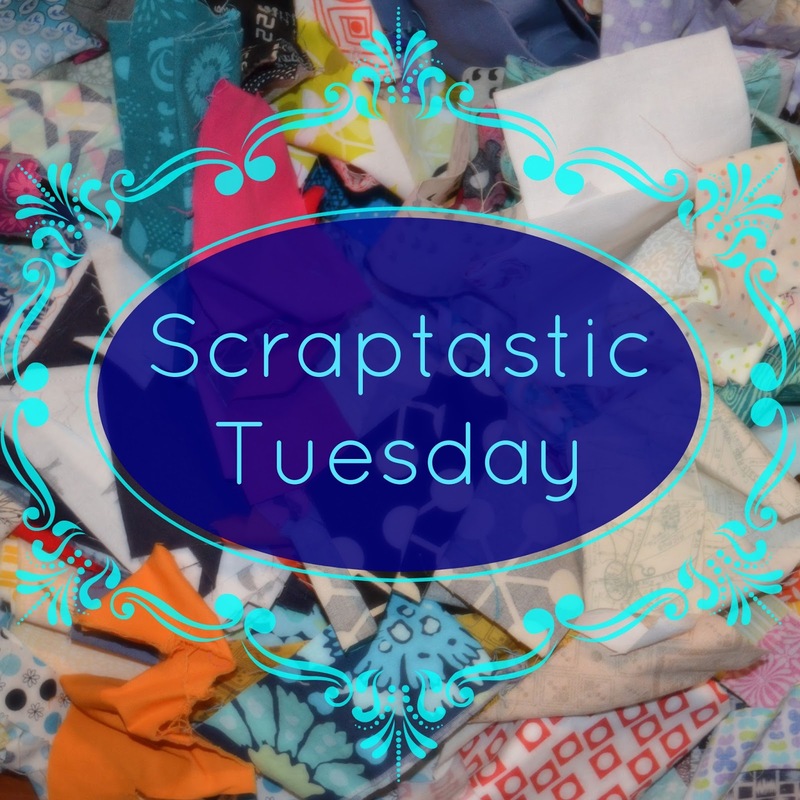 My giveaway of the she can quilt blogger's bundle sponsored by Fabric Spark is still open, go here to enter if you have not yet done so. If you are new, welcome. 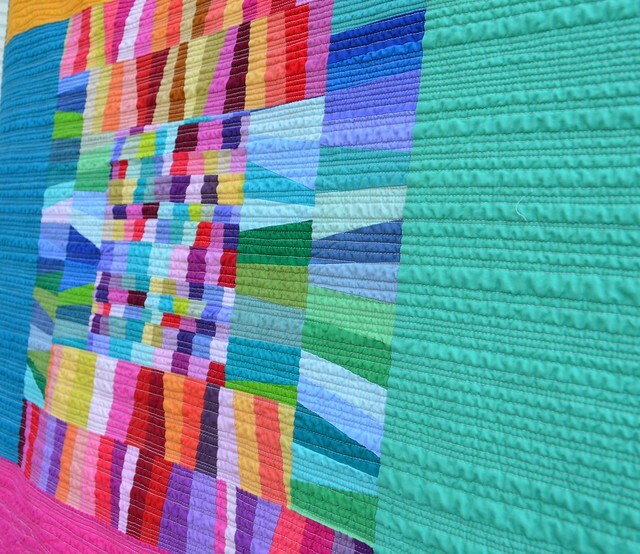 I am entering my quilt All the Colours into the Modern Quilts Category of Amy's Blogger's Quilt Festival. 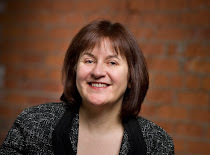 I have recently shown All the Colours off here, so you may have seen her before and heard her story. She was made using the Chess on the Steps pattern my friend Krista - Poppyprint - designed for the Modern Quilt Guild Pattern of the Month, go here to see Krista's fantastic version, do, I will wait. My quilt is about 43" square after a good wash and dry. 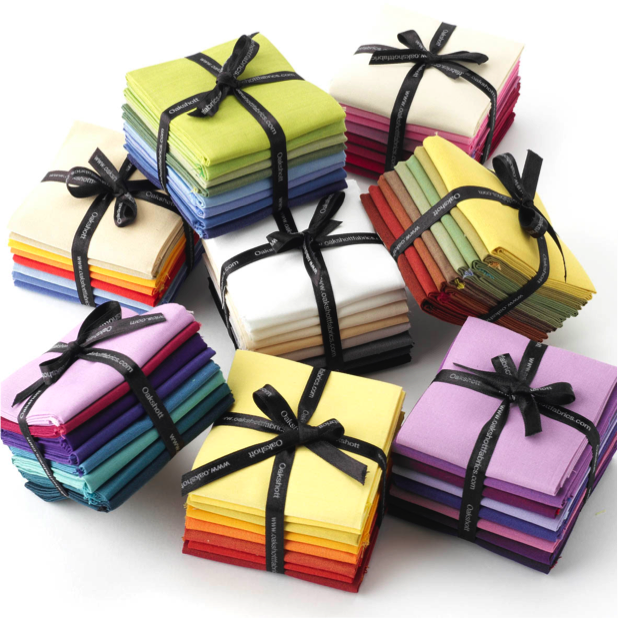 When the pattern was released, I had a charm package of Michael Miller solids sitting on my sewing table. 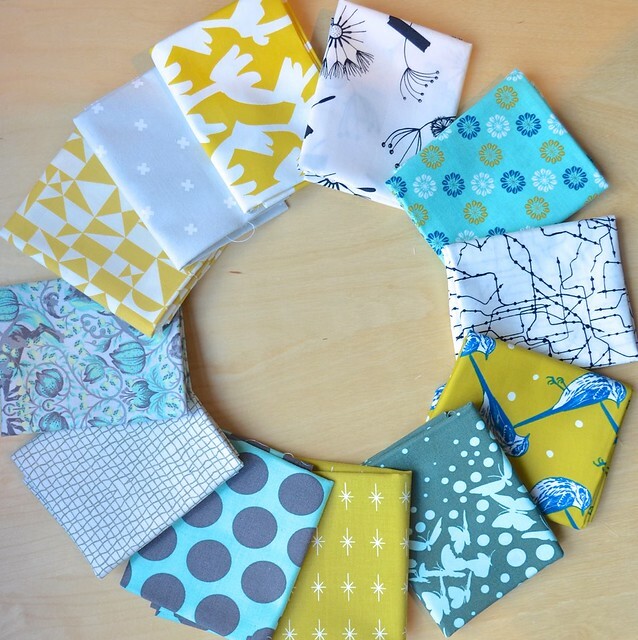 I had been given this beautiful set of fabrics at the MQG's Sewdown Nashville so I decided to use them for the pattern. Krista has shared the fastest, fun improv technique. In no time I used up all the charm squares and had the middle section all done. 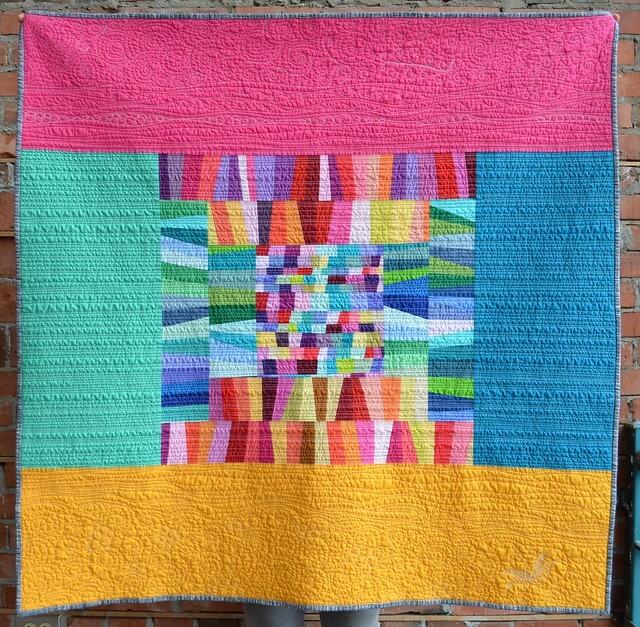 Despite my desire to use all the colours, I am not very comfortable with quilts which are totally scrappy or totally a riot of colours. So I grouped the colours by warn and cool. 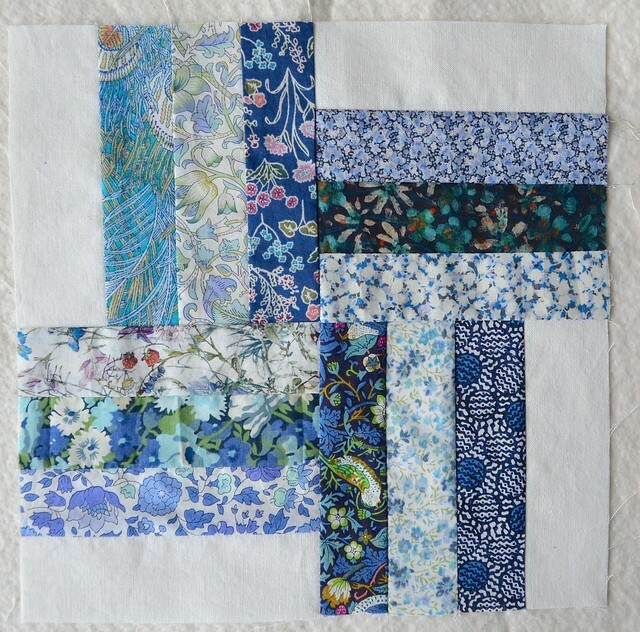 This is not something I made up, I first saw the impact of this technique in Malka Dubrawsky's quilt book Fresh Quilting - I'm not sure she invented it either but she is the person I learned it from. 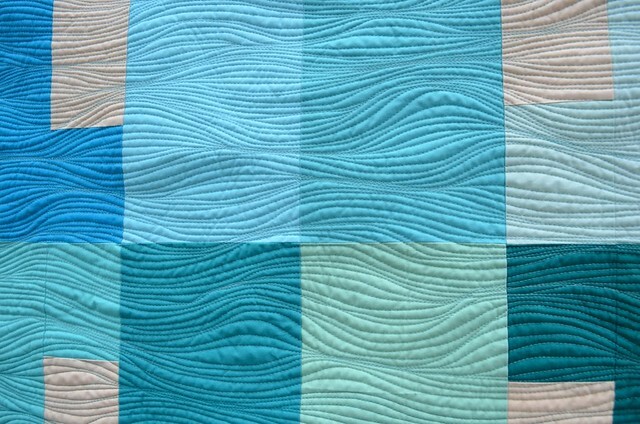 Just this small colour sort makes this quilt so much calmer to me. 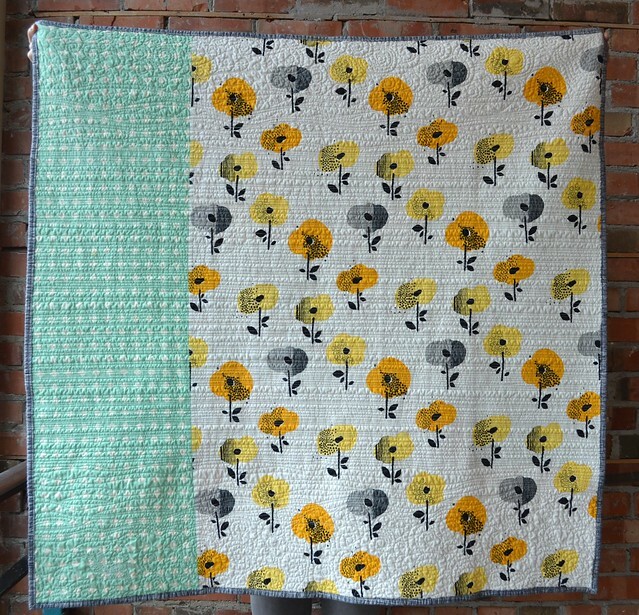 I wanted this quilt to be for one of the new babies arriving in my family. So I picked out some larger pieces of Kona Solids that were on my shelf and added them on, carrying on with the court house steps concept that Krista used in the pattern. 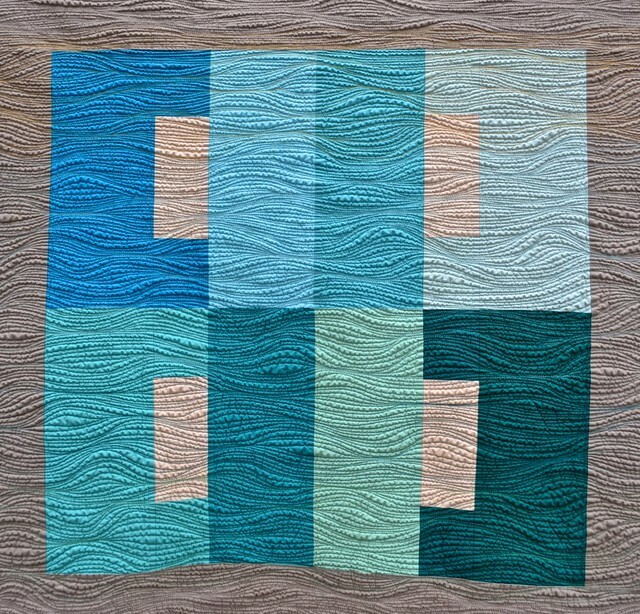 When I started quilting this quilt, I thought I would practice swirls and such but almost immediately I decided that was not what I felt like doing that day. Instead of tearing out the bits I had done, I just transitioned to wavy then to straightish lines. When I got the other end I reversed the process and ended with more swirly bits. 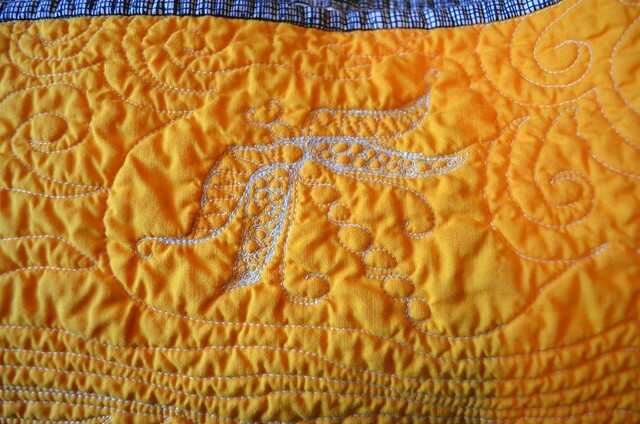 I included a dragonfly - which is a motif that Jamie Wallen taught me at the American Quilter's Society show in Grand Rapids. 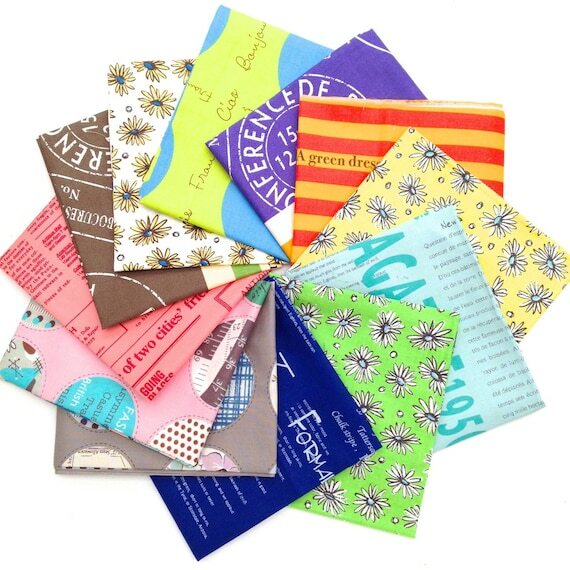 These are surprisingly easy and fun to quilt. I picked the back before I knew the gender of the baby. This photo gives you a bit of scale, taken in the stairwell at my office building. All these photos are after the wash and dry, which really brings out the crinkle and pushes the lightly variegated King Tut cotton thread into the folds. 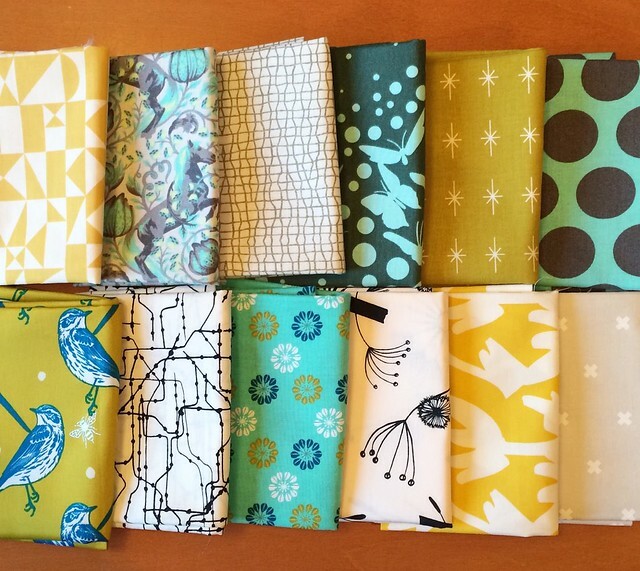 I bound her with a black sketch fabric, which I think works very well with all the colours. I am not sure which way up I like better, this way or the yellow on top as in the first photo. It does not really matter, it is for a baby, not a wall. 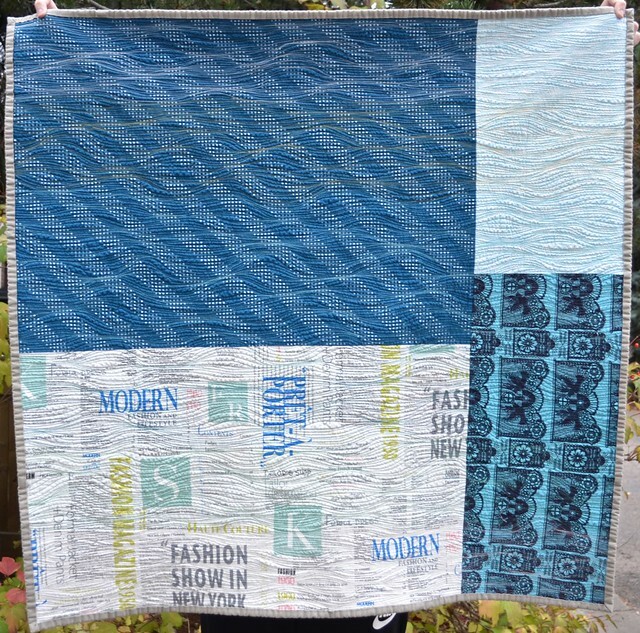 Krista's Chess on the Steps pattern is currently only available to Modern Quilt Members - you can join a local MQG or join as an individual member. 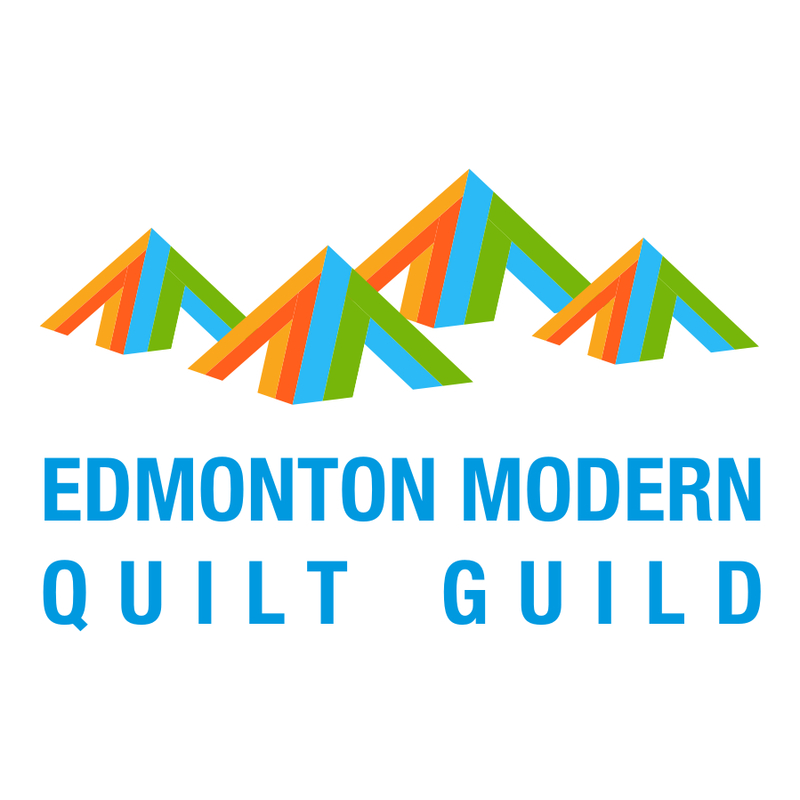 All the MQG Pattern of the Months have been wonderful, but I have to say this one is my favourite so far. 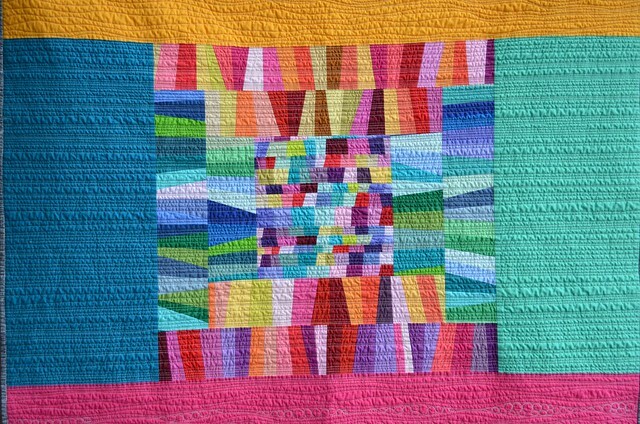 I am finishing another quilt today for my second entry into the Blogger's Quilt Festival and hope to share her soon. 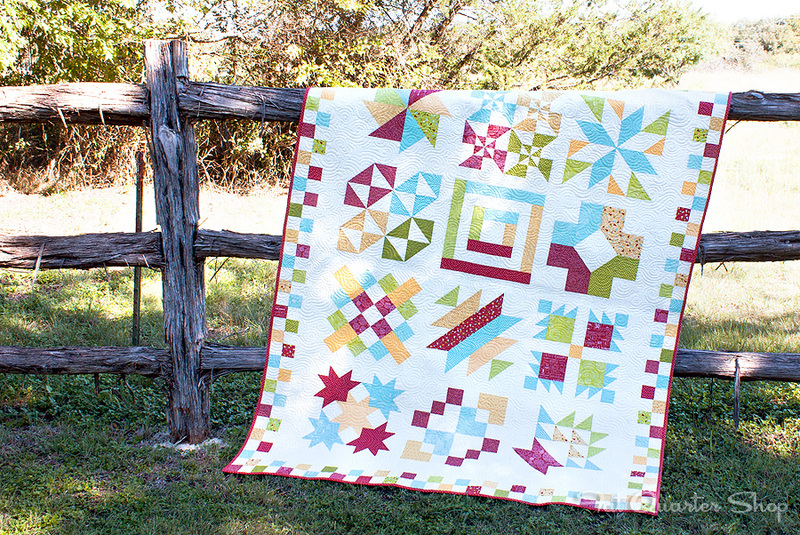 If you have not yet entered, you have until October 31, so pick a quilt and do enter. 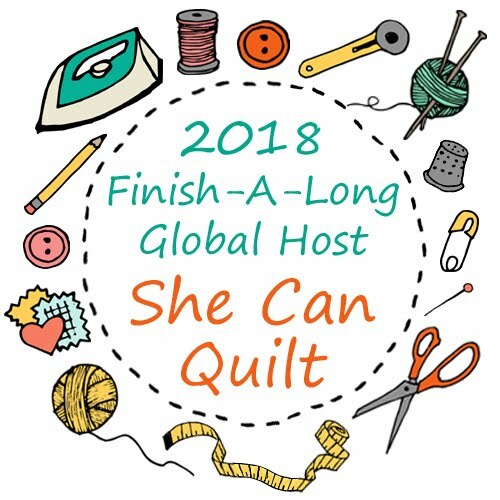 Also, this festival has so many inspiring quilts and their stories, it is a great place to go for inspiration and to learn about other quilters.